It was another complicated match for the Russian, who despite winning in straight sets had to pull off a comeback to defeat Sorana Cirstea. 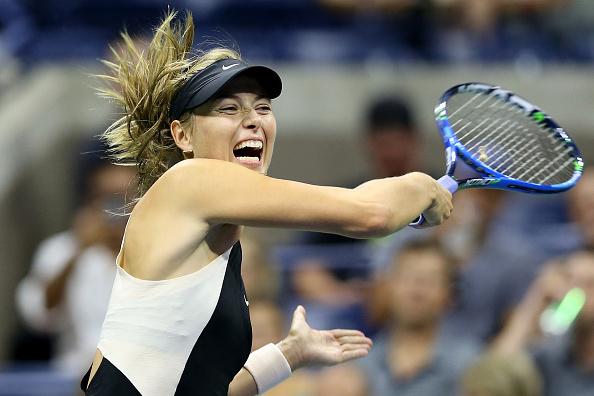 It was not the prettiest of wins for the former US Open champion, Maria Sharapova. The Russian faced Sorana Cirstea under the lights of Arthur Ashe Stadium and just like in her first-round match, Sharapova had to fight back in the second set to get a straight set win. Throughout the match, Sharapova struggled with her serve and on several occasions had to save break points. In the second set, the Romanian managed to get an early break which helped her to stay on top for most of the set, however, Sharapova fought back and went on to win three games in a row to defeat Sorana Cirstea 6-2, 7-5 in almost two hours. 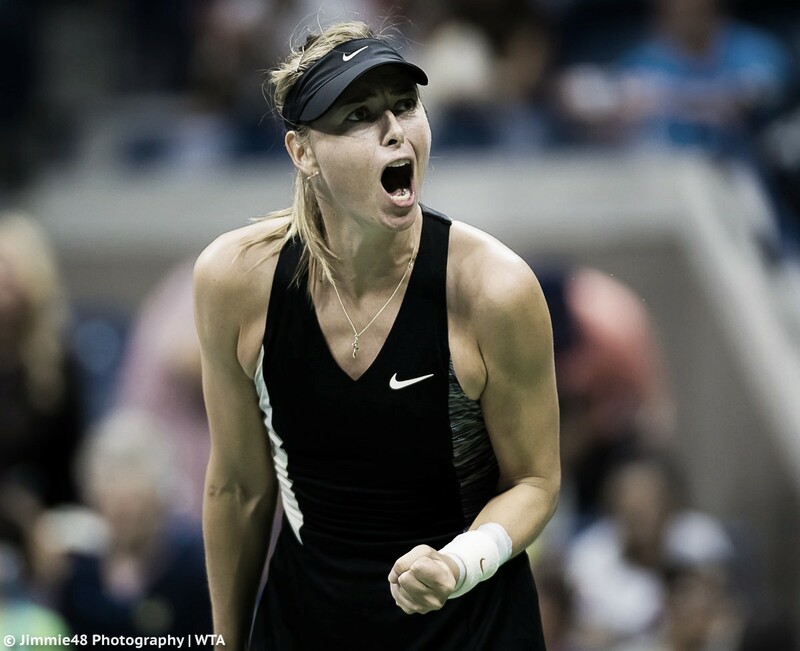 In the third round, Maria Sharapova will face the tenth seed, Jelena Ostapenko. This will be the second encounter between them, the first one being earlier this year at Rome where Sharapova came out victorious after a three-set battle. It was not the most optimal start for the Russian as she had to battle through an excruciating first game in which she had to save break points and took her ten minutes to finally claim the hold. Yet, Sharapova didn't need that much to break straight away her adversary. It took another lengthy game for Sharapova to confirm the break and the lead. The Romanian finally made it to the scoreboard after holding her serve in the fourth game. Despite the constant mistakes and problems with her serve, the Russian went ahead 5-2 after a trade of holds. Removing the pressure to serve out the set, Sharapova stepped in and broke Cirstea to claim the first set 6-2. From the start, the second set seemed like a different match. The Romanian started to take more risks and it paid off when she broke in the first game after Sharapova hit a double fault. However, keeping the lead didn't turn out as easy for Cirstea who saw her serve threatened by the Russian in two occasions. Eventually, Cirstea was able to hold and lead 2-0. In the following games, Sharapova struggled less to hold her serve but she was still a break down and despite having numerous chances to retrieve the break she was not able to level up the scoreboard until the eighth game. In another game that lasted almost ten minutes, Cirstea overcame three break points but in the fourth chance, Sharapova prevailed after the Romanian hit a double fault to equalize the set to 4-4. However, the problems didn't stop there for the Sharapova as she played a very erratic game that helped Cirstea recover the break. One game away, Cirstea had the chance to send this to a deciding set but the Russian was determined to stay in the set and fired up some winners to obtain two break points which would later be converted after Cirstea hit a backhand error. The former US Open champion played a perfect game, holding to love to be ahead for the first time in the set. 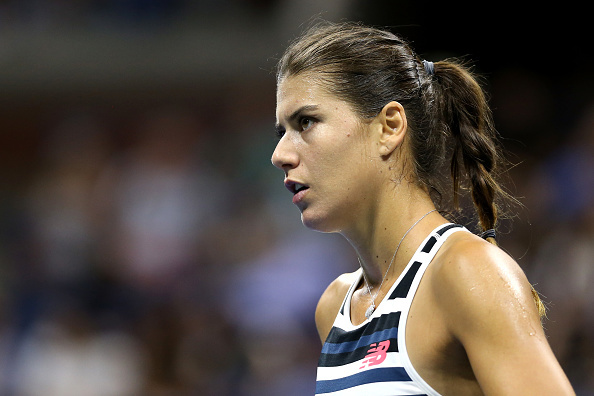 Now that the tables had turned, it was Cirstea who had to serve to stay in the match. Wanting to avoid another dramatic tiebreak, the Russian pounded some winners to gain two match points. Sharapova hit a well-placed return that Cirstea left at the net.